Anywhere Studio Acousticversion featuring the Seagull Artist Series CW Studio Element Guitar recorded 1/27/18 live in studio. I played all the instruments including guitar, bass, and cajon. I really love this song, from the "Together Now" album (available on iTunes - https://itunes.apple.com/us/album/together-now/1085649513)it has a lot of heart and I love performing it. I hope you will enjoy, share, and download free! My Seagull Artist Series CW Element Arrived last night, and my music is uplifted by the new instrument and capabilities. This video performance of "Slow Dance" was the first song I strummed on the brand new guitar from Seagull and I am so pleased with how it sounds! The guitar review will be posted soon, but enjoy a brand new studio acoustic version of "Slow Dance" ! Learn why I chose Seagull guitars for use in my recordings here. Koa Free Instrumental Guitar Download on a Seagull S6 Coasltine Folk Guitar recorded as part of an instrumental playlist "Cedar". "Koa" has a walkdown fingerstyle progression and then builds intricately to a ncie two and three guitar line. Watch the performance video on YouTube! My favorite steel-string folk guitar is the Seagull S6. Its Cedar top and Cherry back and sides inspired me to create this instrumental guitar song and playlist. Its warm tones, balanced projection, and electric input makes it the perfect studio guitar for soft strumming and finger style playing. 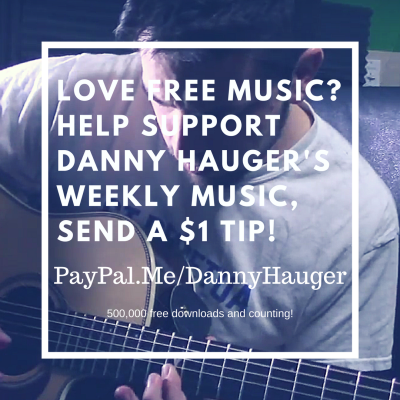 "Cedar" is the first song of a brand new collection I am recording, enjoy a free download from Danny Hauger Podcasts! Subscribe for more free acoustic music every week! se of my new album. Thanks to all the new listeners and subscribers in 2018! Happy New Year! Music in this channel is written, recorded, and produced by Danny Hauger. 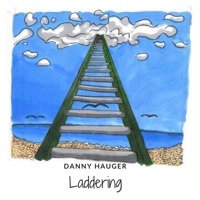 Download this live, unplugged version of "Laddering" free on Danny Hauger Podcasts. Watch the video on YouTube! And thats the thing that makes me think. I’m moving up, and moving out. Do we choose our own philosophies? Or who to follow from the heart? Can we blame ourselves, for where others start? A little cold, a little lonely. But I’m getting bolder every day. And how long will be the road? The questions answer lead to more and more questions. And you’re still finding who you are. I’m laddering - I’m trying to move up. If you hear me playing, lend an ear. If you see my shining, then let me lead you. If you see me coming, let me in. This instrumental was recorded in between a break for the "Laddering" Album recording sessions as a palette cleanser. It almost was good enough to consider including it in the album, but I decided to cut and spin it off as the first new weekly podcast for 2018. "Middle Value" starts with a modern rock riff in the middle of the guitar, and evolves into a typical acoustic rock song from my studios. Enjoy! It would make a great music bed if you want to use it, get in touch with me!